If you're not a fan of the ubiquitous Thanksgiving marshmallow and yam casserole or if you're just looking for a simpler way to add that expected sweet side dish, then try this simple and delicious recipe. This is our house standard side dish next to the mash and gravy and the only one that never has any leftovers! Enjoy! Toss the squash cubes in the olive oil and 2 tablespoons of the maple syrup. Place on a baking dish and season with salt and a generous amount of pepper. Roast in the oven at 400 degrees for approximately 20 minutes, toss the squash and return to the oven for an additional 20 minutes or until the squash is a light golden color. Spoon into a serving dish, top with a handful of chives, if desired, and drizzle with the remaining tablespoon of maple syrup. Makes approximately 4 - 6 servings. I loved glazed anything, but this squash looks delish!! This looks glorious! Maple glazing sounds like such a great preparation to make butternut squash shine even more. I love this variation so much! I have alwaus had mashed on Thanksgiving but I actually prefer them this way! 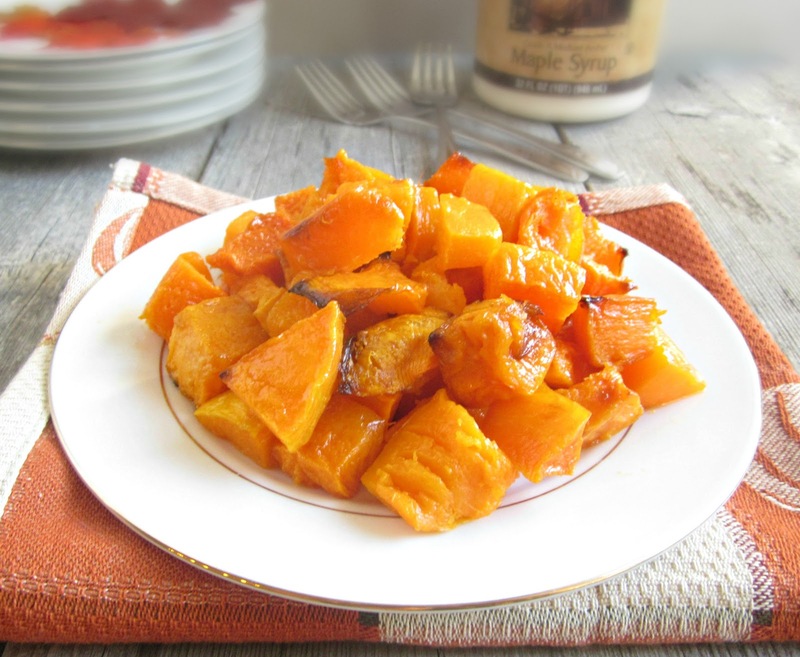 We love butternut squash, and the maple syrup sounds like the perfect way to roast the squash.